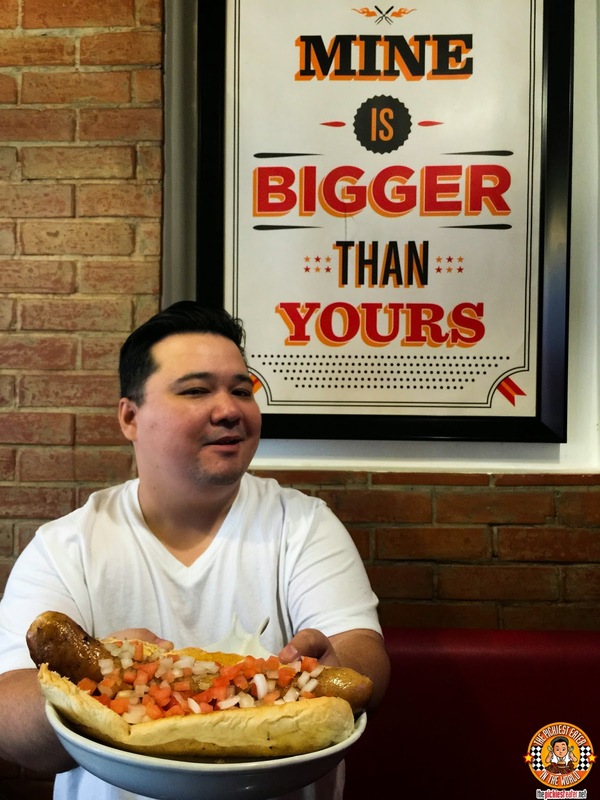 THE PICKIEST EATER IN THE WORLD: GO BIG OR GO HOME: SIZE MATTERS KAPITOLYO! 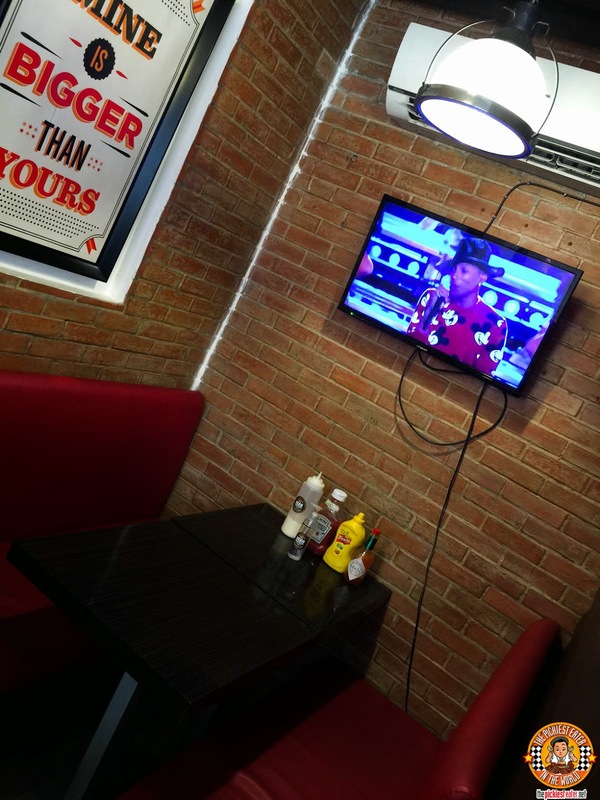 Size Matters is located at the ground floor of the iconic D' Ace Plaza in the growing food haven that is Kapitolyo. The cozy little nook is quite cozy and the modern, yet relaxed atmosphere makes it easy to imagine spending hours hanging out with some friends, enjoying fantastic food and drinks. During my first visit to Size Matters, I remembered enjoying their Home Brewed Ice Tea, which was served in Oktoberfest like mugs. 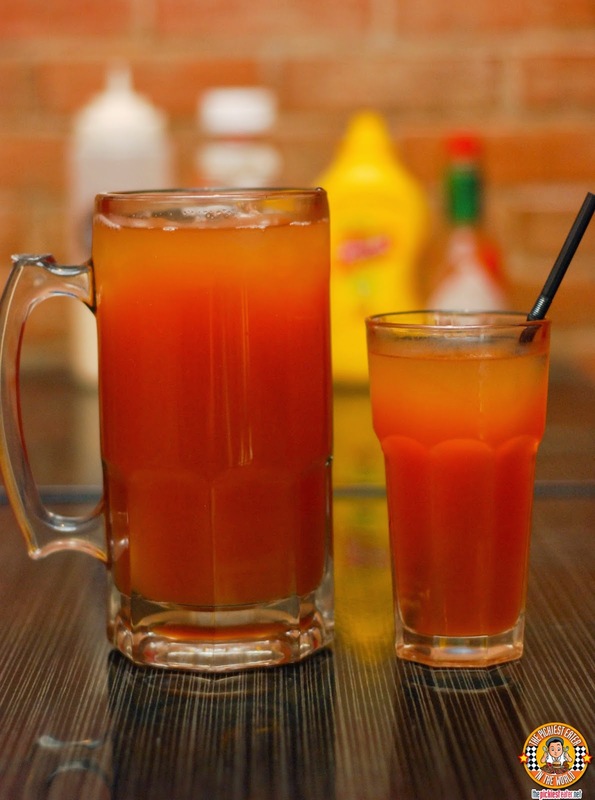 It's remarkably refreshing, and the perfect drink to wash down your meal with. 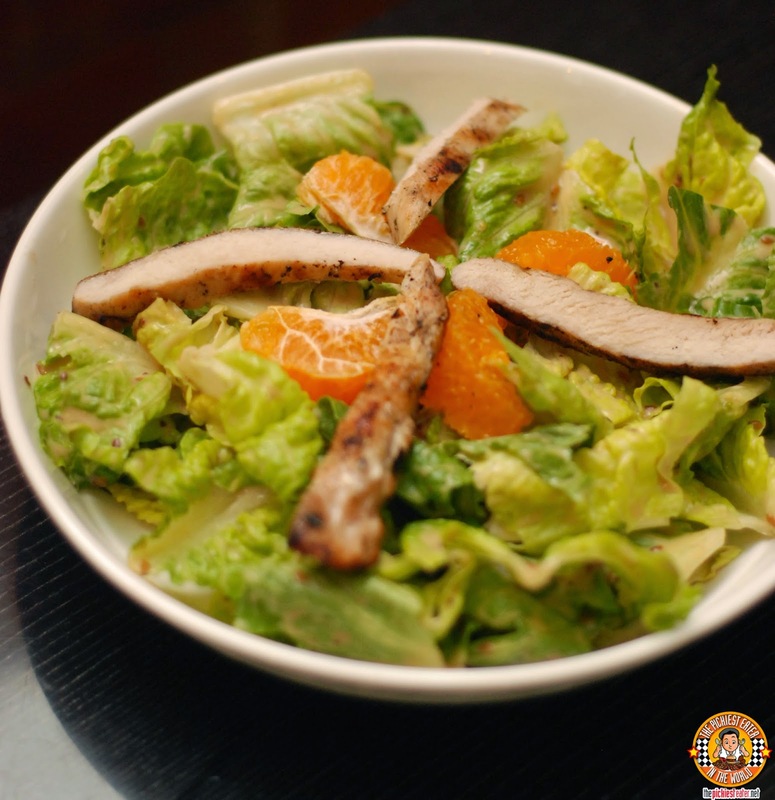 As I was eager to get started on some sausage burgers, our hosts teased us a little bit longer by serving us the Asian Chicken Salad (P150) first, Rina enjoyed the crisp lettuce tossed with some orange slices and grilled chicken, then drizzled with a bit of her favorite Roasted Sesame Dressing. 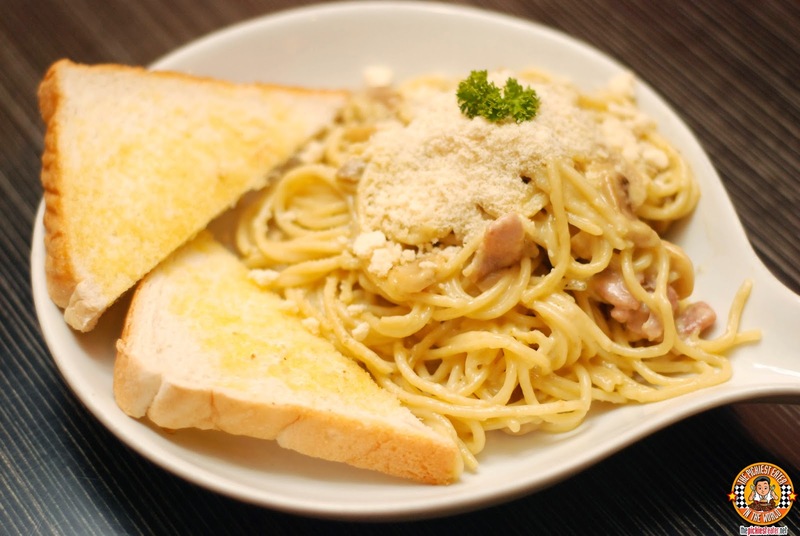 The Carbonara (P209) allowed me to get my tummy to work. The Al Dente Pasta was coated in a stunning cream sauce, with ham bits mixed into it for added savoriness. The dish is then finished off with a healthy topping of parmesan cheese. Though Rub Ribs seems to get all the hype when it comes to Ribs in Kapitolyo, Size Matters' American Ribs (P435 Solo/P765 Sharing) is something that meat lovers should try as well. 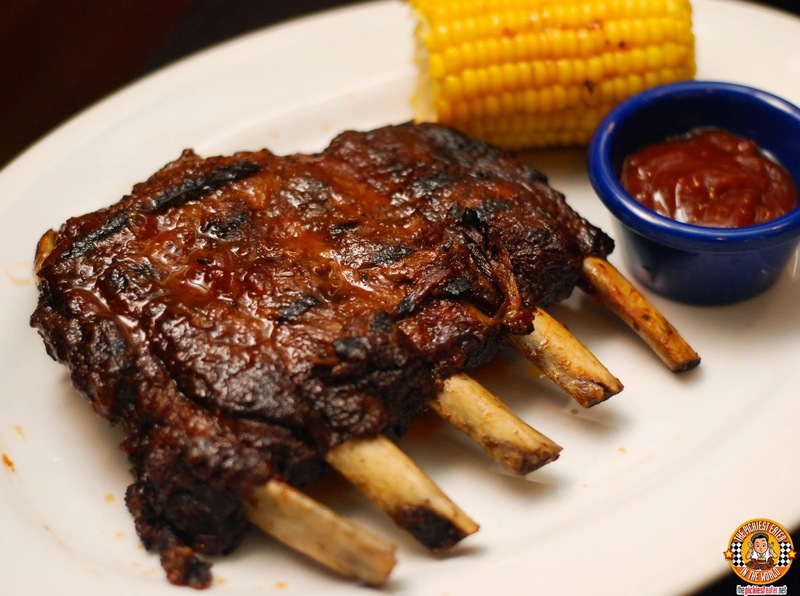 The glorious rack of ribs is kissed slathered in a smokey-sweet barbecue sauce, and masterfully grilled to fall of the bone goodness. 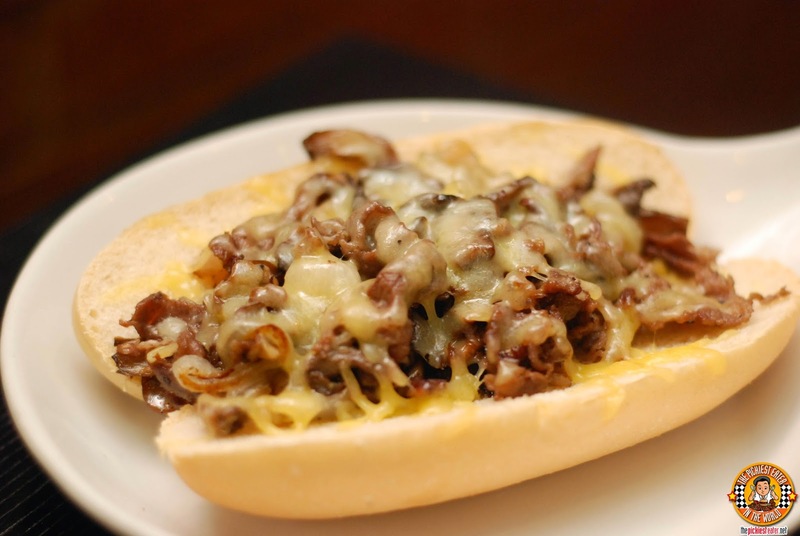 Size Matters makes a pretty mean Cheese Steak Sandwich (P219) as well. Thin strips of perfectly seasoned beef are drowned in a creamy cheese sauce, and topped with buttery, caramelized onions. My only note was that I would have preferred the bun to have been a little softer, or perhaps toasted a little bit more. The bun is a tad thick so I preferred to eat it open faced.. Especially since I was planning on eating a lot more hehe.. 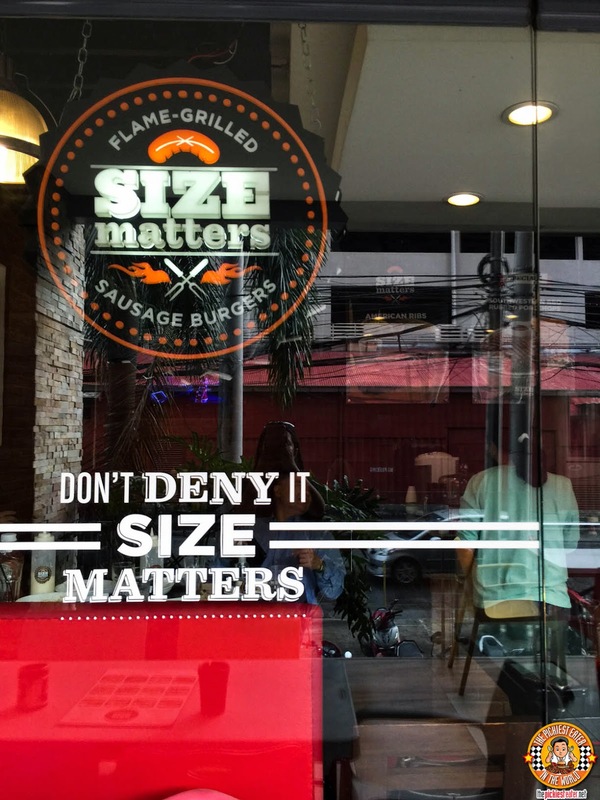 It isn't just the burgers that exemplify the "Size Matters", name, but their Sausage links as well! 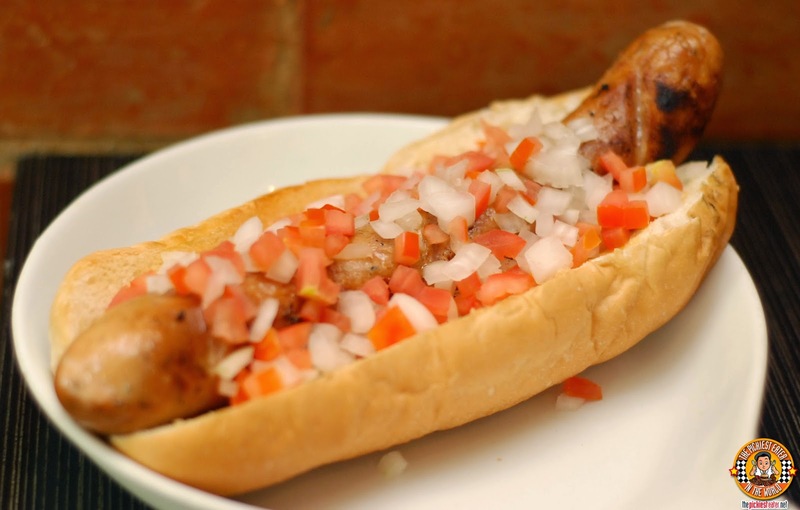 You may choose from their Italian, Bratwurst with Cheese, Hungarian, Kielbasa and Schublig. We tried the Italian Sausage (P299 12 inch/P165 6 inch), and even just by looking at it you could tell it was going to be a mouthful (Insert dirty joke here). The bun this time was excellent. It was warm and soft, and encased the massive sausage just right. The sausage itself was tightly packed with delicious meat that carried vibrant flavor of different Italian herbs and spices. The sausage let out a gorgeous snap with every nibble I took, bursting out delicious juices that made me long for more, making this part of my blog post sound like something out of "50 Shades of Grey". (I realized it after reading it). Absolutely delicious, but I would definitely need to note the next time that I want the generous helping of minced tomatoes on the side (Personal preference). Then it was time to get down to business. My love for burgers knows no bounds, which is why I was just as excited about my second time at Size Matters, as I was the first time! 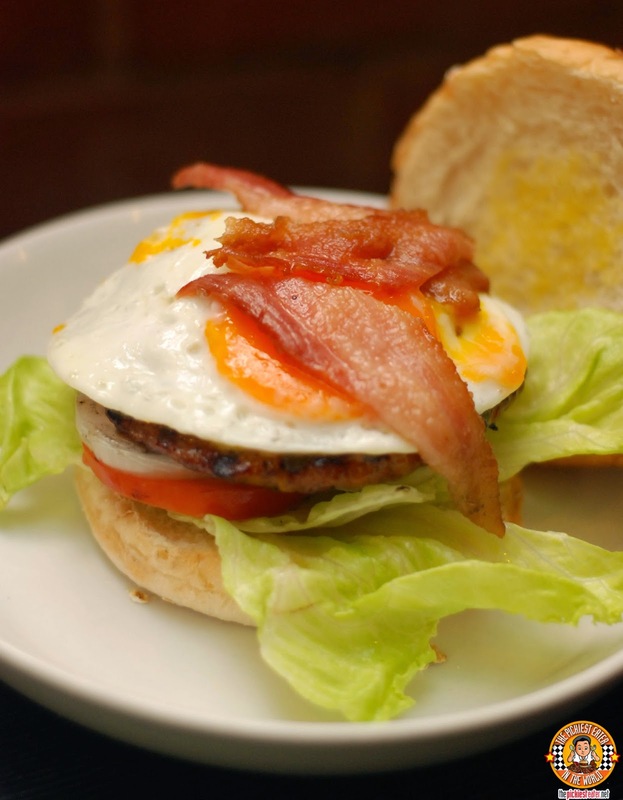 We began with Rina's Italian Burger Job (P189 1/4lb / P269 1/lb). 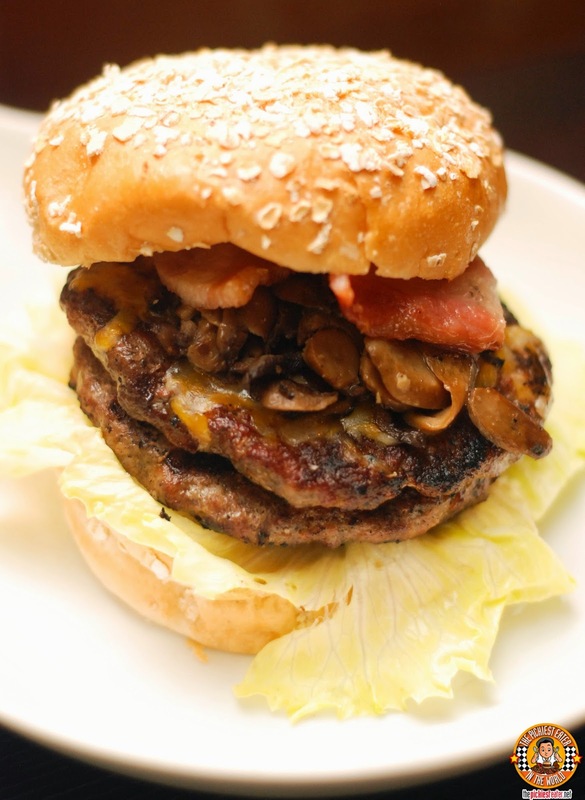 The burger is so named because it uses a flavorful Italian Sausage patty, which is blanketed with Monterey Jack Cheese then topped with caramelized onions, before being garnished with onions and tomatoes. 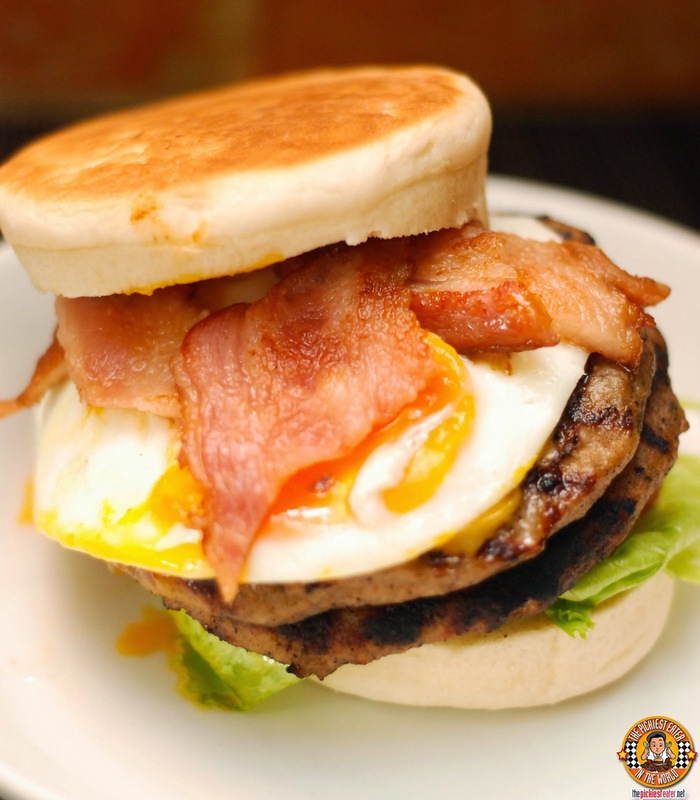 The toasted Oat buns are smeared with zesty garlic cream cheese, for extra zing, and OF COURSE, Rina had to add a fried egg and Bacon hehe. .
During my first trip to Size Matters years ago, I was excited to try The Breakfast in Bed Burger, aka the B.I.B. (P199 for 1/4lb & P279 for 1/2lb), but was heart broken when I was told that the Englsih Muffins, something that put the "Breakfast" in the "Breakfast In Bed". Roughly around three years later, I was finally able to try it, and I loved it! Since we got the 1/2 lb, it consisted of two Breakfast Sausages, topped with Cheddar Cheese, Maple Bacon and a sunny side up egg, tucked between a warm, toasted English Muffin. 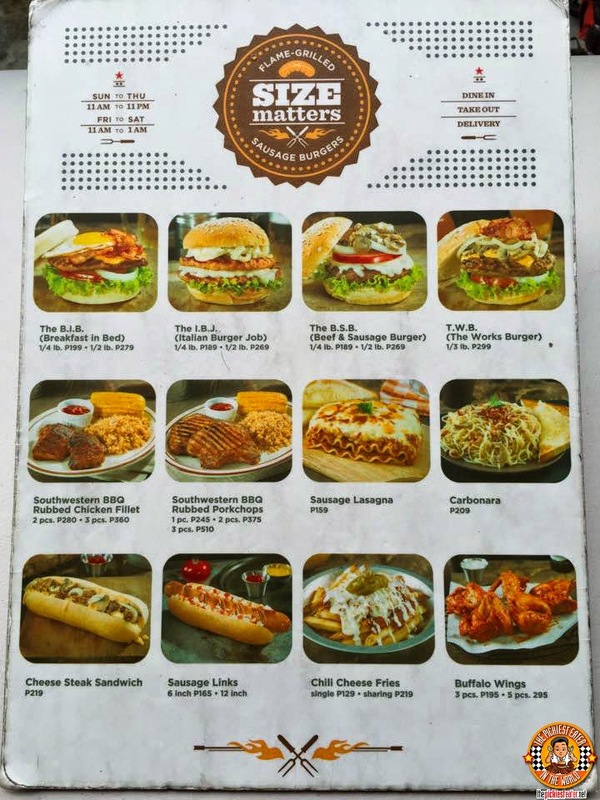 The burgers are available as a "Combo Meal", where you may add Fries and a drink for an additional (P60), and you may choose to upgrade your drink as well. You may also choose from Several Add ons in the menu, ranging from Maple Bacon, serveral cheese, and even Sausage Chili! 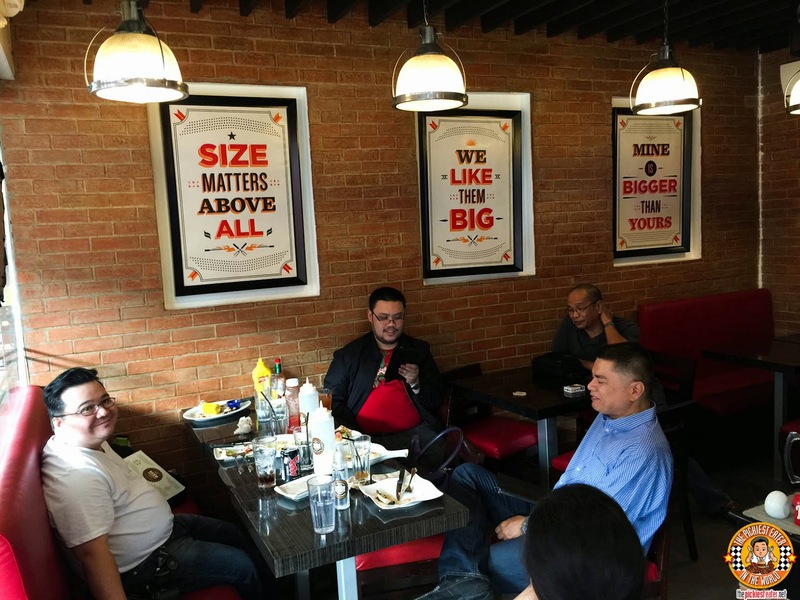 Size Matters in Kapitolyo is the perfect place to hang out with your buddies at any time of the day! 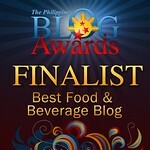 You can believe that I intend to come back here very often to sample even more items on their menu! Like Size Matters Pasig on Facebook!